Clover Environmental Solutions in partnership with Staples Canada is excited to offer a free ink and toner recycling program to schools across Canada. Each month, hundreds of tons of empty ink and toner cartridges are kept out of landfills. 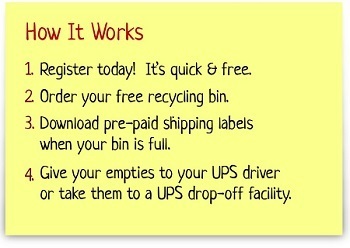 It is easy to make a difference; by signing up for Canada School Recycling program you help your school help our planet. Copyright © 2013, Staples, Inc., All rights reserved.